Many thanks to Delmark Records for this great re-issue. 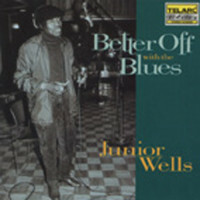 All fans of '50s style Chicago blues have been waiting impatiently for this album. As a special treat, four previously unreleased cuts have been added. 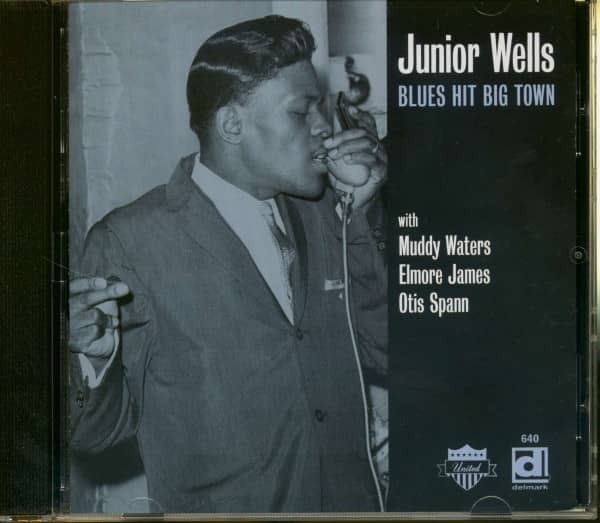 These are Junior's earliest recordings. Amazing to learn how strong a singer and harp player he was at that time, only 18 years old! Excellent recordings that will easily stand the test of time. 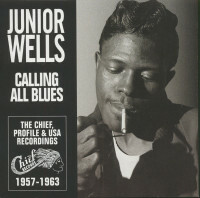 Next to the 'Hoodoo Man Blues'-CD this album has to be part of a serious blues record collection! 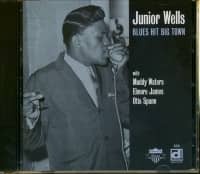 JUNIOR WELLS - hca/voc w/ MUDDY WATERS - gtr, ELMORE JAMES - gtr, LOUIS MYERS - gtr, OTIS SPANN - pno, JOHNNY JONES - pno, DAVE MYERS - bass, WILLIE DIXON - bass, FRED BELOW - drums, ODIE PAYNE JR. - drums. These historic sessions also feature Louis and Dave Myers, Willie Dixon, Johnnie Jones, Fred Below and Odie Payne Jr. Recorded by United Records in '53 & '54 at Universal Studio in Chicago, eight sides were issued on the subsidiary States label. Delmark's original LP contained twelve performances and now 5 more are added for the CD! 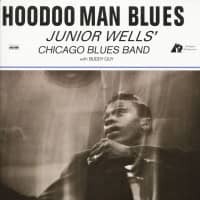 Junior's debut recordings as leader include his first recording of "Hoodoo Man Blues". He was still a teenager at the time and had replaced Little Walter in the Muddy Waters band. 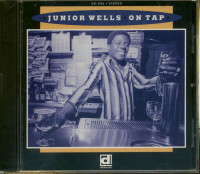 Down Beat's Pete Welding wrote "In their power, directness, unerring taste and utter consistency of mood, these may well be the most perfectly distilled examples of Wells' music ever recorded, taking their place alongside of those of Waters, Walter, Wolf and other masters of the period. Five stars." Blues Hit Big Town captures genius emerging from one of the greatest blues personalities and harmonica players of all time. Part of our United series. 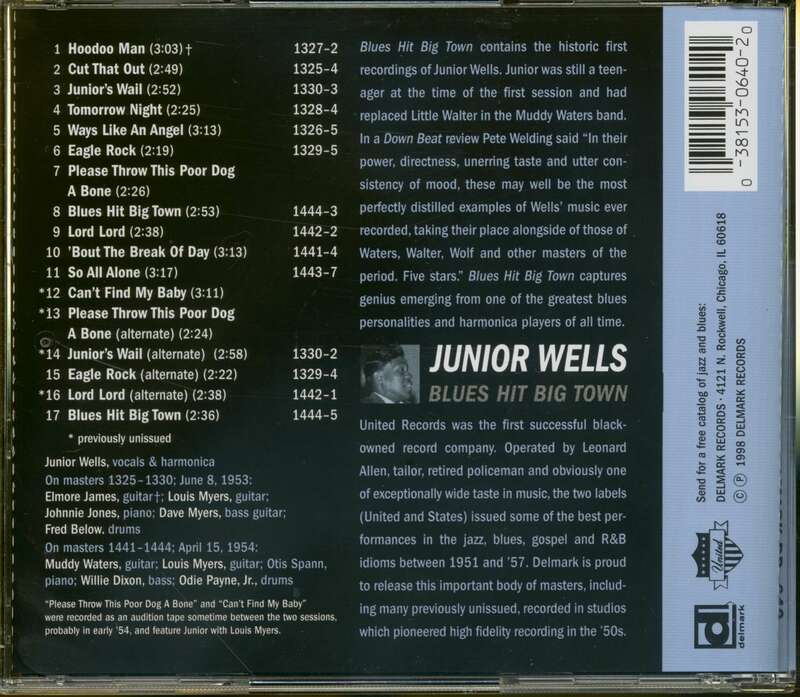 Customer evaluation for "Blues Hit Big Town"